This is a very strange story about a ghastly nymphet called Ghislaine whose beauty verges on the grotesque even before her face gets slashed to pieces by the equally beautiful and androgynous villain Honeybuzzard. I am beginning to see a common theme in Carter’s particular stance on the nature of feminine beauty in that she loves to concoct her characters as a delirious mix of sexual depravity in virginal garbs. ‘Shadow Dance’ is a complex novel where the sexuality of characters are always suspect. The medusa-like Ghislaine (even her name is a monstrosity that smacks of the absinthe-odoured Lautrec ladies) is presented as an insatiable young woman who is forever scarred after a violent sexual attack cruelly orchestrated by two men; Morris, a nondescript antique-dealer who beneath the thin gloss is basically a failure in life and his flamboyant and dangerous sidekick Honeybuzzard. The two men are very unlikely friends and partners in crime, however the thing drawing the two together is the very thing that makes them incompatible: total incongruity of character. Morris is the total opposite of Honeybuzzard. Where he is all shy and retiring, Honeybuzzard is all knives and sharp corners. Like the title suggests, there is a very subtle shadow dance that occurs between these two men, they are both too much of one thing and not enough of another and it is through this need that they come into close proximity and tolerate each others intolerable acts. Even more subtle is the sexual tension between the two and the sense of how they can never truly enact the forbidden sexual desire for one another because they are, in a symbolic sense, each other. Honeybuzzard and Ghislaine were the most interesting characters and I find Carter is at her best when creating the most outrageous personalities. She really does shine as she makes the most incredible habits credible. Ghislaine’s magnificent entrance at the beginning of the novel and Carters exquisite description of her will stay with me for a long while. It was nice to see the initial workings of ‘The Passion of New Eve‘ in this, her first novel; as I think Ghislaine and Honeybuzzard may have been test versions of the Tristesse and Evelyn to come. Carter is also a master of jerking sympathy out of her readership for the most absurd of reasons. As poisonous as Ghislaine is, we cannot help feeling horror and shock at her attack by the hands of Morris, who was the one who planted the demonic seed of thought into the impressionable mind of Honeybuzzard. In roundabout ways we can decide for ourselves who was more or less to blame for the events of that night and how the aftermath affects not just the victim, but many other innocent bystanders who have no more than a fleeting acquaintance with the main people involved. The most amazing thing about ‘Shadow Dance’ has to be the detailed descriptions of various degrees of depravity, whether this be in the state of a house or a relationship. Things are always a little bit tainted in Carter’s world and that’s what gives this a very gothic flavour. Everything is in a certain stage of its’ own undoing and even those who think they have finally captured a rag of relative happiness soon have it cruelly torn from them. I adore authors who are not afraid to put their characters through their paces, who are brutal and precise if the story demands it. Carter cares very much for her characters, which is why she is so careless with them. They are not wrapped in cotton and protected by events, they live them out for us and brings us ‘the taste of pennies’ on our tongue. It’s always a pleasure to read Carter, for she belongs in the rare gallery of women writers such as du Maurier, Atwood and Morrison, who boldly go where no others have been and eke out new, savage pastures for readers to lose themselves in. They bring with them their own brand of femininity, one that tries to cleanse itself of the barbie-coloured optimism, and allows us to glance at the depths of our forbidden selves for a few therapeutic minutes – at the overwhelming burden of our dark ‘life-giving’ gifts and what this means in its terrifying totality. Authors we love, and some we don’t: 50 of the best writers of modern fiction are showcased in this collection of 50 little books as Penguin Modern Classics celebrates it’s fiftieth birthday. Which one will you choose? There it is folks, an entire library of modern literary fiction in one compact little box. How convenient! Having read ‘Hell Screen’ by Akutagawa and ‘The Lady in the Looking Glass’ by Virginia Woolf, I have fallen in love with Penguin’s concept of bringing us tidbits of the best of contemporary fiction. I’m a sucker for short stories. I am currently taking up the challenge to read ALL of the books in the series which won’t take long provided I can find them all. The great thing about this collection is that they contain stories that not only showcase an authors differing styles (as was the case with Virginia Woolf) but they also bring to light some of the lesser-known, but equally as good works too. If you want to take up the challenge too then you can find more information abotu the books at the Penguin Modern Classics website or you can purchase the entire set at Amazon or Waterstone’s. This is the quiet yet disturbing tale of the unforgettable Molly, her sudden death and the memory she left behind in three former lovers who meet at her funeral. The story opens on a chilly February morning, as Vernon Halliday (broadsheet editor) and Clive Linley (British composer) arrive to pay their respects. Being close friends, they knew Molly before she became a famous restaurant critic. As her ex-lovers, they also share another mutual feeling; an intense dislike for Julian Garmony, the Foreign Secretary who once had a relationship with her and George, her morose and possessive husband. Her loss causes shock in the publishing world where she was known as the life of the party, but that isn’t the only shock her death gives way to. In the following days, Vernon and Clive are besieged by a strange numbness in the arm, a pact is made and the emergence of a series of grainy photographs threatens to undo them all. The problem I had with this book is that I can’t call it a thriller, nor a love story in the conventional sense. It sits somewhere between the two and looks at the aftermath of relationships and those ‘residual’ emotions from a rather oblique position. Molly is already dead when the story beings and the reader is left to glean information about her through flashbacks often coloured by the emotionally-biased men in her life. As a result, Molly comes across as a party animal with a cat-like tendency to waltz in and out of people’s lives leaving them yearning for more of her apparently irresistible charisma. As a character, Molly did feel a bit like an author’s fantasy of the perfect woman, and it didn’t help that her former lovers go through motions of morbid idolatry glossing over her faults as they go along. While this was amusing, as a female reader I also found it a bit silly and it ultimately made the male characters rather weak and underdeveloped. I think what McEwan was aiming for was ‘obsessiveness’, instead he managed to produce childish behaviour that wasn’t at all becoming for characters that are respectively a famous composer, a renowned journalist and reputedly the next prime minister. One of the good things about the story is how McEwan reverses the roles, and has his male characters pine over a woman that was once ‘had but lost’. The jealousy that slowly emerges between them is also quite interesting, as it’s usually women who fight over a man, not the other way round. While Clive and Vernon complain about Georges possessiveness and his smothering attitude during Molly’s illness, they show signs of these very same traits even after she is dead and gone. Each man is seen to try to make Molly his own, but all they do is set each other up rather unsuccessfully I might add. The strongest people in the novel were women; namely Molly and Garmony’s wife. The men seemed a little too lost and bewildered without them. For instance, Garmony cowers under the bed sheets after a scandal threatens his career. As the paparazzi wait outside his house, his wife (obviously the one who wears the trousers in the relationship) stoically marches outside braving the flashlights and the flurry of questions. She also picks up the pieces of her husband’s apparently irretrievable career from the brink of destruction with a rather clever interview that renders the scandal null and void in any journalistic sense. In short, I was left feeling little respect for the men, as all they seemed to do was mope and think about backstabbing the other ‘ex-lover’. I’m a bit ashamed to say it, but the men acted more like women and the women more like men. Having said all of this, I can’t understand why McEwan was awarded the Booker Prize for this short novel. It’s far from perfect, though I must admit, the psychological thriller aspects of the book were wielded with expert precision. McEwan has that down to a fine art, as the plot twists and turns unexpectedly driving the reader through the narrative. My only wish was that he could have taken more time with it to flesh out his characters a bit more. If you ever decide to pick it up, you’ll find there is definitely room for expansion. Personally I was expecting ‘Amsterdam’ to be like ‘Atonement’ which is in my personal view is a far superior novel. This may have been the Booker, but for some genuinely GOOD McEwan I recommend ‘Enduring Love’ or ‘Atonement’. McEwan is a very sensitive writer, who is able to pick out a beautiful, delicate tune from a handful of notes. If you enjoy a writer who looks at the emotional destruction within characters in great detail, then you’ve come to the right place. When given room to play, his style is discreet yet devastating. Such a shame that ‘Amsterdam’ did not live up to my expectations. Literary Blog Hop! | What Makes Contemporary Fiction A ‘Modern Classic’? Being more a reader of contemporary literary fiction, you’d think I’d have a surefire answer to this question, but I’m afraid I haven’t. The problem with it is that unless you are a psychic, nobody can really say which books will end up becoming full-blown classics and which will be forgotten after the initial mass-media hype. This is especially true when it comes to contemporary fiction. For instance, the general set of rules by which books were judged as classics a hundred years ago, could turn out to be largely obsolete in today’s society. As methods of story-telling have evolved over the years, dividing and sub-dividing like an atom into various genres and linguistic styles, so have the expectations of its modern readers. Today’s book-lovers are different from the bookworms of yesteryear. So the classics that might emerge from modern contemporary fictions another 100 years from now, will inevitably differ from the classics published back in the 18th century. But undoubtably our current classics would have been long-forgotten if it weren’t for the sagacity of their respective authors and the way they struck the right social and cultural chords that not only extended the longevity of their work, but also caused something of a ‘butterfly effect’ in the future of novel-writing itself. ‘Frankenstein’ by Mary Shelley is a great example of this. Here’s a universal classic that asks some very serious questions about creation, evolution, science and religion. These are not easy subjects to write about at the best of times, but the painfully human plight of Shelley’s hideous progeny and the demonic transgression of her scientist have become monstrous themes within modern culture. The novel has fascinated many through its ability to foreshadow the future of surgery and in the ethical issues surrounding the advent of ground-breaking scientific events like cloning and designer babies. ‘Frankenstein’ continues to haunt us as a permanent cultural reference in films, cartoons and comic-books. Famously said to have been born from a dream, it has even gone as far as foreshadowing itself. Many authors continue to be inspired by the original which has spawned countless spin-offs. Notable versions that spring to mind is the Dean Koontz trilogy and Peter Ackroyd’s ‘Casebook of Victor Frankenstein’. But something tells me that ‘timelessness’ shouldn’t be the only ingredient of a future classic, but that it should also have something of the ‘progressive’ about it, something that sets the standard a little higher. When we look at the history of the novel, it’s always surprising to realise that it is, after all, a fairly new art form. And it is here that I look quite literally to the term itself to realise that it isn’t fuddy-duddy, moth-ridden verses that we should be praising; but another thing altogether. nov·el 1 // n. 1. A fictional prose narrative of considerable length, typically having a plot that is unfolded by the actions, speech, and thoughts of the characters. nov·el 2 // adj. Strikingly new, unusual, or different. See Synonyms at new. The word ‘novel’ was first coined in the late 18th century from the Italian ‘novella’, a transliteration for popular short stories during the medieval period. The ‘novella’ or novel, was a step towards ‘realistic’ story-telling, where characters and the narrative were firmly anchored in the mundane, everyday world of the reader. During this period, books like ‘Robinson Crusoe’ and ‘Moll Flanders’ demonstrated the break from the fantastical, allegorical romances that came before. Instead, the novel focussed on exploring the moral values of the middle-class through the solitary struggles of a hero or heroine. However it was a little later with Samuel Richardson’s ‘Pamela’, that the character novel was truly born. A type that proved so popular, that it was made all the more famous by Jane Austen and later, the Bronte sisters. The key pattern here lies in the breaking with tradition, not of sustaining or prolonging a certain type of ‘literariness’. And since the novel quite literally means ‘new’, and a classic is a crowning celebration of the unusual or different; then this also has become one of the ingredients for a modern classic. You may have noticed that the texts mentioned so far are classics that are also a part of the ‘canon’, meaning they are considered to be of outstanding artistic and literary merit. But in a day and age when literary theorists claim that there are in actual fact only 5 types of story in existence, and that all stories are an amalgam or these original five; I find it hard to see how we can continue to have more books added as ‘classics’ to an already mammoth list. This angle again poses a problem: can a re-working of a previous classic be accepted as a classic in its own right? And aren’t we running out of ‘original’ stories? For those who think nay, this thorny question can be answered quite nicely by Graham Swift’s ‘Last Orders’. Winner of the Booker Prize 1996, the novel itself was greatly influenced by Faulkner’s ‘As I Lay Dying’. Whether it will be accepted as a classic later on, only time will tell; but I remember having many a heated debate about the ‘legitimacy’ of Swift’s usage of Faulkner’s plot. To me, it looked like plagiarism; to others it was a work of post-modernist art and proof some timeless stories can be transposed onto an entirely different culture and still retain its original ‘ghost’ (see Suzan-Lori Parks ‘Getting Mother’s Body: A Novel’ for an African-American point of view). I could probably go on and on listing things that need to be taken into consideration when choosing a modern contemporary classic. Having it win a handful of awards is always a step in the right direction, but not always a necessity. It must transcend time and space (not an easy feat!) and be eco-friendly in that every once in a while it should be recyclable. Then it should also be new. Not just new, but ‘unusual’ or ‘different’ even. So what can my nomination be for a modern classic? Sam & Hailey, powered by an ever-rotating fleet of cars from Model T to Lincoln Continental, career from the Civil War to the Cold War, barreling down through the Appalachians, up the Mississippi River, across the Badlands, finally cutting a nation in half as the try to outrace history itself. 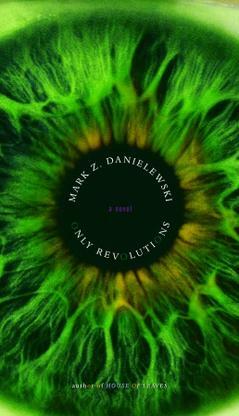 To be honest, it was a toss-up between ‘Only Revolutions’ and Danielewski’s previous monster ‘House of Leaves’. But I didn’t want to make another reference to Gothic fiction, so I chose this amazing time-juggling literary word-play as one I’d like to see as a modern classic. Parts of the book were constructed with the help of Danielewski’s online readership on his blog and alternates between two different narrators Hailey and Sam who are lovers on opposite sides of the US. If that’s not enough, they are also living in different centuries. One side of the book tells Haileys story (green eye with the golden flecks) and the flip side gives you Sam’s story (golden eye with the green flecks). Loosely based on the American ‘road novel’ made famous by Jack Kerouac, ‘Only Revolutions’ is a vast cacophony of many genres. Told in a poetic narrative after the fashion of ancient Greek epics, Sam and Hailey’s stories travel towards each other where they collide in the middle of the continent (and the exact middle of the book) only to go back or forward in time again respectively. Hailey’s story begins on Nov 22 1963 while Sam’s starts on Nov 22 1893. Being a century apart makes their love story a unique one. Other notable oddities is that it’s exactly 360 pages long (one full revolution) with colour-coded words representing aspects of the narrators. Another thing I discovered by accident is that something very cool happens to the page numbers when you flip the pages of the book. But I still haven’t figured out the meaning of the black dots on the upper page. If anyone has read it and knows what I’m talking about, please let me know! That’s an end to my rambling… now it’s your turn! What are your opinions? What would you vote as a modern contemporary classic? 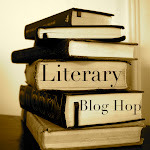 Literary Blog Hop! – Most Difficult Literary Book You’ve Ever Read? What is the most difficult literary work you’ve ever read? What made it so difficult? The most difficult book I’ve ever read has to be ‘Mrs. Dalloway’ by Virginia Woolf. Going into it is like being hit with a literary sledgehammer. Seriously. If you reckon you know ‘stream-of-consciousness’, then think again! ‘Mrs. Dalloway’ is probably SoC perfection what with its mercurial ideas and shifting narrators. The story of ‘Mrs. Dalloway’ is set in post World War I England and is about one day in the life of Clarissa Dalloway, a married middle-class woman who is preparing to throw a party later that evening. The novel works on a number of different themes including mental illness, existential issues, feminism and homosexuality. People who know a bit about Woolf will probably have heard about her own mental problems and her suicide. She was known to have been bisexual and a strong champion of feminist thought. All of these issues find voice in ‘Mrs. Dalloway’ making it an excellent study of her life and her ideals. The special thing about the novel is that even though it takes place over 24 hours, the story constantly shifts backwards and forwards in time. In reality, this is Woolf’s way of mimicking one day in the life of anyone’s mind, as she makes it clear that even though we are living in a constant ‘present’, our thoughts rarely ever do. The novel also has a very strong element of ‘voyeurism’ to it, as Woolf’s narrative switches from character to the next without warning, often delving into the world of private, often embarrassing thoughts. This also seems to show that people are never what they seem to be. Clarissa, a respectably married housewife entertains thoughts of suppressed love for her childhood friend Sally Bourton. Similarly, Septimus (a shell-shocked war hero) is still haunted by his commanding officer Evans. The story of ‘Mrs. Dalloway’ is essentially about the secret lives people live within themselves, and the things that go without saying which is rather, the omitted subtext of everyday existence. All I can really say about this novel is that it has no ‘walls’. Yes, there is nothing to separate the thoughts of the characters or the characters themselves for that matter, because Woolf’s complete focus is on ‘memory’ and the organic behaviour of thought. Many writers have toyed with the idea of writing a novel that mimics the theatre of the mind, but few have ever got so close as to actually emulating that on paper. One of those successes being James Joyce’s ‘Ulysses’ gets a mention here, only because it is probably up there on the number one spot for the most difficult SoC book to read (both famous and infamous for it in equal measure!). In fact, it’s hailed as the most difficult book period, but since I haven’t read it yet, Woolf’s ‘Mrs. Dalloway’ takes first place for now. When I first picked this up eight years ago, I had no idea what I was getting myself into. I was already a fan of Woolf, having read ‘A Room of One’s Own’ and some other essays of hers, but I never counted on experiencing anything quite as modern and intuitive as the complex style she exhibits here. In fact, before reading ‘Mrs. Dalloway’ I realised I had a pretty rigid view on what makes a successful novel. Normally, a book is constructed from a number of ‘building blocks’ like themes, symbolism, etc, and the way those blocks fit into each other (much like lego) depends on the way an author structures her narrative. Woolf however completely blew my theory to pieces; how she did it I still don’t know, but one thing is certain, her writing is as fine as gossamer and as strong as steel-wool. ‘Mrs. Dalloway’ is hardly a conventional novel. I see it as a gross concentration of memories, an intense saturation of isolated, fleeting feelings and thoughts that seem to be plucked from the mind and laid directly onto paper. The ebb and flow of the story may seem erratic at first, but like a 3D picture, once you adjust yourself to the pace and the multiple story strands, it becomes a very fulfilling read. If you would like to read Mrs. Dalloway for free, Project Gutenburg Australia has very kindly uploaded the book in text, zip and HTML format. Project Gutenburg Australia has a number of free ebooks in it’s archives that cannot be found in the normal Project Gutenburg website, so check it out when you have the time! Literary Blog Hop! – What Is Literary Fiction? talking about are known as ‘The Ring Trilogy’. 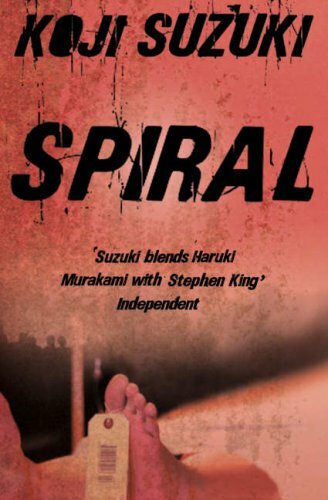 The three books ‘Ring’ (1991), ‘Spiral’ (1995) and ‘Loop’ (2002) were written by Koji Suzuki and became a literary phenomenon all over the world. 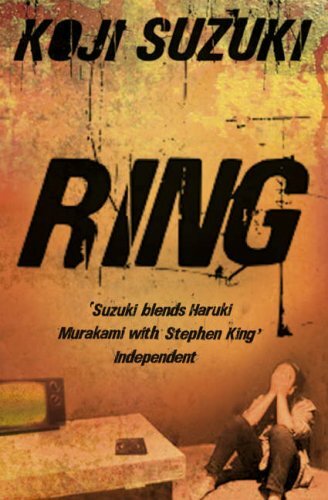 While ‘Ring’ is the most popular book in the series, ‘Spiral’ and ‘Loop’ provide an excellent follow-up to the chilling story of the cursed videotape that kills its’ viewers in seven days. Here is a short synopsis of each book without any spoilers. “One night in Tokyo, four healthy teenagers die simultaneously. Autopsy reports list the cause as heart failure, but for journalist Kazuyuki Asakawa whose niece was among the dead, it seems something more sinister is afoot. Asakawa’s suspicions drive him to investigate further, which leads him to a strange videotape found in a mountain lodge the teenagers visited together over the holidays. At first, the tape is nothing more than a random series of unrelated images. However the images end abruptly, and what follows is an inexplicable message that condemns the viewer to die in seven days unless they complete a charm. But to Asakawa’s horror, the instructions have been erased. Now it becomes a race against the clock to find out the mystery of the tape, the truth behind the curse and who made it. “Dr. Ando suffers from nightmares. In his dreams he is trying to save his drowning son. But everyday he wakes to the cruel reality of his death and the fact that his marriage has all but fallen apart. The only thing keeping him going is his job – performing autopsies. That is, until his old rival Ryuji Takayama, turns up on the steel slab. In High School, Ryuji was famous for being a codebreaker. He would have remained undefeated, if it wasn’t for Ando. Yet here he is, and ironically Ando has the honour of doing the last duties. But Ryuji’s death soon turns out to be as cryptic as the codes they used to crack back in school. A blood test reveals the impossible truth that Ryuji died from a virus supposed to be extinct, and it turns out he isn’t the only one to have been infected. Being the only person ever to have beat Ryuji, Ando gets the unshakable feeling that his friend is controlling things from beyond the grave by chosing him to solve this mystery. “In the ‘Ring’, vendetta came in the form of a videotape. In ‘Spiral’, a mutating virus threatened the entire diversity of life. 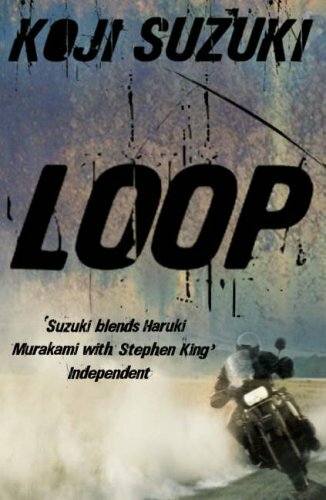 In ‘Loop’, everything about the ‘Ring’ universe is turned on its head, as the story opens on Kaoru Futami, a precocious ten year old boy born to an era on the brink of a cancer epidemic. This new, aggressive form of the illness is incurable; yet Kaoru has hope as his father lies dying in a hospital along with many other patients. Now a medical student, Kaoru sets out to discover the origins of the disease which takes him to the barren desert of New Mexico and the abandoned HQ’s of the elusive ‘Loop’ project. What he discovers there is an advanced artificial life programme designed to imitate all stages of human civilization. As Kaoru watches events unfold, he realises that a virus mysteriously wiped out the inhabitants of the virtual world; a virus that managed to escape the ‘Loop’ project and somehow find its way into reality. The reason I chose these books is because despite of their place in popular culture and the ‘hype’ generated by their film versions, I strongly believe they deserve to be recognised as literary fiction. Well, it can’t. Purely because of the difference in genres, but more importantly because books like the trilogy only begin to work on a literary level when it is perceived as a synergistic whole. In other words, you have to read them in order to get the full effect of the intricate way in which the seemingly disconnected plots come together to form the ‘big picture’. Suzuki also provides access to Japanese folklore, offering insight into how various supernatural beliefs developed in this culture. There is also the way each book takes mythological themes of death, life and rebirth and re-works them into a perspective the modern reader can easily relate to. One common problem is that literary fiction is often confused with the ‘Classics’. While the canon will always remain as a set number of key texts, literary fiction is the quite the opposite. If it can be regarded as a genre, it is the most flexible of them all, as literary fiction can turn up in any style of writing. To clear things up, I feel a great need to classify once and for all exactly what literary fiction means. The term itself is very difficult to pin down and is surrounded by a plethora of preconceived ideas, most of which are often negative to say the least. The words ‘literary fiction’ are often associated with highbrow art that is often written in a way to be largely unintelligible to the average reader, and more often than not, with a focus on garnering as many awards as it possibly can. While some of these are tell-tale traits of literary fiction, I am glad to say that it isn’t as straight-forward or narrow as that. ‘Literary’ means ‘of words’, and a work of literary fiction often indicates one to be of considerable merit within its own respectful genre. It may also mean that the book is written with a focus on style, psychological depth or character development.The best thing about literary fiction, is that it often has something important to say about its subject matter or about the art of writing, which means a relatively new book can be classed as literary fiction. These are traits carried by the books as each one takes the ‘viral’ theme and develops it in a new direction. While some people may not like the progressive changes Suzuki made in his follow-up novels, I thoroughly enjoyed them, as it challenged me to refocus my own theories and assumptions about the plot which taught me a lot about how important it is to keep a story as creative as possible. It was also wonderful to see a work that straddles more than one genre keep the plot balanced between the two. Even though horror and science-fiction do go quite well together, it is difficult to produce a story that is ‘credible’ enough to keep the reader involved, and this is a very important factor for both these genres. If you think of literary classics like Orwell’s ‘1984’ and Shelley’s ‘Frankenstein’, both depicted at the time, a fantastical future that was thoroughly make-believe. But what made them so popular for later generations was their grounding in the political and scientific theories at the time. Of course today’s critics hail them as works of immense foresight, as some of those fantastical things have become a reality. Frankenstein’s monster was created by various body parts and resurrected through ‘galvanism’ or lightning. Today, doctors can perform amazing surgical feats such as skin grafts and organ transplants. We have also discovered that the human body has its own electrical current and cloning is now a reality. ‘Big Brother’ was the theme of Orwell’s dystopian story, as people are ruled by a despotic government that perpetrates mind control, constant surveillance of its citizens and torture. This scenario is not far off, as some governments i.e. China and Iran constantly monitor, block and censor information on the internet that goes against it’s policies. In a time where freedom of speech and thought has never been so relaxed; there are still parts of the world where people are punished for their thoughts. In the ‘Ring’, the now extinct smallpox virus finds it’s way onto a video tape, which when viewed infects its audience in the form of a curse. In ‘Spiral’ this virus mutates, finding it’s way onto the internet and to millions of viewers. The result is an epidemic on an unprecedented scale. Contrary to popular belief, in reality the smallpox virus is all but extinct. It is still kept alive in two places; Centers for Disease Control and Prevention (CDC) in United States and the State Research Center of Virology and Biotechnology VECTOR in Koltsovo, Russia. There have been rumours that the virus is intended for use in biological warfare. The viral theme however does not end here, as in ‘Loop’ we are introduced to the concept of artificial intelligence; something that many programmers are working on. Lately gaming systems like the Nintendo Wii have made physical interaction a part of the gaming experience. There is a great desire to create an ‘intuitive’ relationship between man and machine. The iPad is a great example of how this what with the development of the ergonomic touchscreen and the facility to flip the screen any way you like. I feel that it’s only a matter of time before a totally independent artificial intelligence program is created. What something like this will bring only time will tell, but one thing is for sure, art often does imitate life which gives me the feeling that fiction offers us an uncanny glimpse into the future. These are but a few of the big themes these books analyse. As technology takes over making our lives more easier, we tend to lose other things. We become alienated from the organic and the natural. What Suzuki tries to illustrate is what happens when the unnatural begins to control our lives as it changes it against our will. The symbol of the virus comes to mean many things. The mutation of it throughout the three books shows the relentless process of evolution and the fact that we haven’t arrived at out final state and we are still a work in progress. The creation of artificial intelligence (playing ‘god’) brings about the ‘curse’ or the cross all humanity has to bear for making something it cannot even begin to fathom. I could go on and on, but I would be giving away a lot of spoilers, and that wouldn’t be fair for those who wish to read and find out for themselves. Oh, and for all those who think that Suzuki might have stolen the ‘world within a world’ plot from the Matrix films, think again. ‘Loop’ was first published a year before Matrix Reloaded was screened. How’s that for predictive fiction?